Mosquito repellent. Image credit: State Department of Health. To prevent the spread of dengue fever, DOH recommends applying mosquito repellent containing DEET, wearing long-sleeved shirts and pants when in areas with heavy mosquito activity, using indoor insecticides, and clearing areas with standing water. As summer approaches the mainland the threat of mosquitos spreading the Zika virus has become a grave issue. “The World Health Organization has declared the rapid spread of the virus – which has been linked to serious birth defects and is transmitted mainly by mosquitos – an international public health emergency,” according to a study of repellents published by Consumer Reports. Hawaiʻi Health Director Dr. Virginia Pressler said that despite a milestone reached in the fight against dengue fever on Hawaiʻi Island, she said, “The fight against mosquitoes is far from over and we must do everything in our power to protect ourselves and our communities from the risk of mosquito borne diseases.” She said the state continues to receive and investigate reports of travel-related suspect cases of dengue fever, Zika virus and chikungunya on all islands. “As Zika continues to spread rapidly overseas, we must take precautionary measures to prevent any locally acquired cases from taking hold in our state,” she said. The Centers for Disease Control and Prevention recommends insect repellents that contain picaridin, DEET, oil of lemon eucalyptus or IR3535 as the most effective in protecting yourself from Zika. Consumer Reports tested repellents containing DEET, IR3535, as well as three plantlike, but chemically synthesized ingredients: lemon eucalyptus, picaridin, and 2-undecanone. They also looked at repellents made with natual plant oils, such as geraniol, castor oil, soybean oil, citronella and rosemary. Here are the top five ranked repellents contained in the report. Sawyer Fisherman’s Picaridin topped the list by repelling mosquitos for eight hours. Picaridin resembles the natural compound piperine, an essential oil in black pepper. It has long been used in other parts of the world as a repellent, only recently available in the US under the Cutter Advanced brand name. According to the Environmental Working Group, picaridin does not carry the same neurotoxicity concerns as DEET. (Sawyer ranked number one in the publication, as it was also more effective at repelling ticks than DEET products). 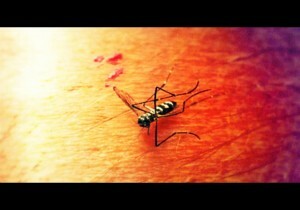 Natrapel 8 Hour, which contains 20% picaridin kept Aedes mosquitos at bay as the name implies for eight hours as well. While most of the repellents listed contain picaridin as the leading active ingredient, Off! 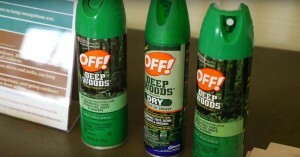 Deepwoods VIII contains 25% DEET and comes as an aerosol spray. It too lasted for eight hours. Ben’s 30% Deet Tick & Insect Wilderness Formula held up for 7.5 hours, containing 30% Deet, the highest recommended concentration amount. Lastly, Repel Lemon Eucalyptus is a pump spray that uses 30% oil of lemon eucalyptus and is effective for seven hours, according to the publication. Oil of lemon eucalyptus (PMD) comes from the lemon eucalyptus tree and is recommended by the CDC as an alternative to DEET. Several studies have found this natural bug repellent as effective as DEET in repelling mosquitoes. It may also work well against ticks. Oil of lemon eucalyptus may be poisonous if ingested in high quantities so it should not be used on children under 3. No IR3535 products made the list neither did those that contained 5 percent picaridin or 7 percent DEET. The magazine also recommends staying away from products made of natural plant based oils such as California Baby Natural Bug Blend and EcoSmart Organic. 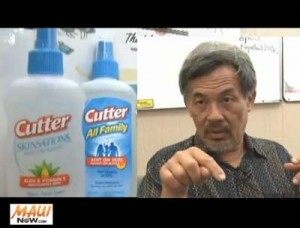 None of the products were able to provide protection against Aedes mosquitoes for longer than an hour. Aside from efficacy, natural plant oil products are not registered with the Environmental Protection Agency because the agency considers them to have minimum risks to human health. The CDC states pregnant women, breastfeeding mothers and infants two months and older can safely use products that have DEET, picaridin and IR3535. According to the report, DEET comes in different concentrations, from 4 percent to 100 percent. The study showed that “concentrations of 30 percent provided the same protection against mosquitoes as higher percentages for up to 8 hours.” The report further notes that “higher concentrations of DEET should be avoided” as it’s “linked to rashes, disorientation and seizures.” It also notes that infants under two months should not use DEET products. While studies have not found a link between the chemical DEET and birth defects, others are skeptical to expose toxins to pregnant women. Citronella essential oil, the oil is extracted from the plant. Experts recommend it be reapplied every 20-30 minutes while outdoors. Soybean Oil can provide 1 to 4 hours of protection against mosquitoes. However it must be applied much more frequently than other alternatives. It is safe to use on infants and children. Lavender and Geranium Oil can provide short term protection. A study in the Journal of Medical Entomology found that these oils are proven deterrents of mosquitoes and ticks. These oils have been used for centuries as a bug repellent. It is recommended that you mix the oil with another oil so skin irritation doesn’t occur. Catnip – An Iowa State University research found the herb catnip is 10 times more effective than DEET in repelling mosquitoes. Neem oil – A study by the U.S National Research Council found it more effective than DEET. One study showed a group of people covered in a mixture of coconut oil and a 2% concentration of neem oil they were completely free of mosquito bites after sleeping outside overnight. 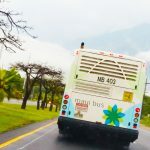 Breadfruit – ‘ulu – Scientists with the USDA, Agriculture Research Service, found breadfruit flowers contain three chemicals that work for repelling mosquitoes. Burning dried clutsters of the flowers, ‘male inflorences’ keep bugs at bay. 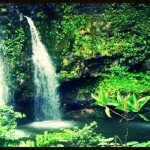 Tests have shown this to be significantly more effective at repelling mosquitos than DEET. The report states that repellents should be applied only to exposed skin or clothing – “never put it on under clothing. Heavy doses doesn’t work better. Don’t apply mosquito repellents over cuts, wounds, or irritated skin or immediately after shaving.” If applying sunscreen and bug spray, apply sunscreen first.